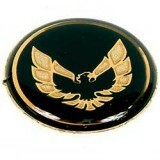 This is a 1970 - 1981 Trans Am Horn Button Bird Emblem in GOLD. Note backside of unit has the proper stud for proper placemnt on the horn button. 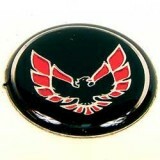 Installs in minutes and is a great way to renew the look of your Trans Am Firebird or Special Edition TA. 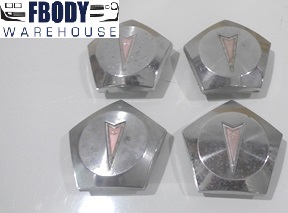 This is a set of 4 new replacement Pontiac Rally 2 Center Caps. Units will fit properly on the steel Pontiac Rally 2 rims. Units are available in 2 stylers please use the drop down menu below to select style needed. 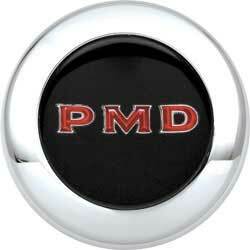 This is a die cast emblem and not a plastic unit! Emblem says "Hurst Equipped" and does have mounting post for a sturdy install or you can remove the posts and use double sided tape to install as well. Many second gens had Hurst Brand t-tops or shifters / shift knobs and this is a cool way to set your car apart from others! Black and Gold Special Editions and Y-88 Models.